Police have arrested three more teenagers following an incident in which a young boy was stabbed. 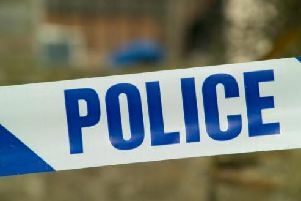 The young men, aged 19, 18 and 16 and all from Parr, are being questioned by detectives on suspicion of assault after the 14-year-old was attacked. A 17-year-old from Parr who was arrested following the incident has now been released on police bail pending further investigations. The young victim, who is also from Parr, was stabbed in the torso during the incident. Merseyside Police were called to reports of a stabbing on Parr Stocks Road near the junction of Gaskell Street and Fleet Lane shortly after 11.10pm on Friday March 31. The victim was taken to hospital where he is in a stable condition and receiving treatment. Parr Stocks Road was cordoned off at the junction while forensic examinations were carried out, but has since reopened. House-to-house inquiries have also been carried out. Anyone with information about this incident should call police on 0151 777 6041, or ring independent charity Crimestoppers on 0800 555 111.